An Isis Crystal is identified by the five sided tear drop shape pictured below this will normally be found on the front or main face of the crystal. An Isis Crystal is aptly named after the Goddess Isis and holds strong feminine energies, but is suitable to be used by both men and women wanting to access their more feminine side. 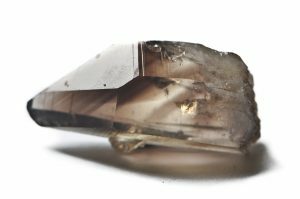 Both men and women can use this crystal to connect on a deeper level to their feminine side and reconnect with all of their deep seat emotions. In our evolving society we are seeing more and more children who are born as ‘indigos’. An Isis crystal will help them to more easily live and thrive in our ever evolving world, by allowing them process everything that happens around them and bring balance. An Isis Crystal can be used when triggering self healing through inner power and strength. This is great when you are in a time that you feel you need to take back inner power that you feel you have lost, either due to a person or a situation in your past in an unjust way. The Isis helps do this by focusing your inner strength, perseverance and persistence so that you can learn the lessons needed and move forward in life. Isis Crystals can assist us with healing all aspects of ourselves: body, spirit, emotional state, mind and your higher self. If there needs to be balancing between any of these aspects the Isis assimilate the different vibrations between the two and bring you back into balance. By being balanced you can then step back and be the ‘observer’ over what is happening within you or the negative vibrations of those around you. By moving your vibration to the ‘observer’ position you can move to the position of acceptance of everything happing around you. When you are entering a transitional period in your life you will find the Isis stone a useful companion. Examples of this might be moving to a higher level of vibration due to lessons learnt, or if you are moving physically from one place to the next, or moving into a new relationship or job. It is also a great tool to help people cross over from one world to the next. Healing tool – Healers can use this to amplify the healing and use all of the properties of the crystal listed above. As a self healing tool you can carry it on your body when needed or meditate with it placed upon your third eye or crown chakra with the Isis symbol place down connecting with your person. Isis crystals are very difficult to find so if you come across one that is calling to you make sure you own it as it is meant to be in your life and you need it. Having one is a blessing enjoy it and all the benefits it will bring into your life. Please contact Michelle to view current stock.